Westminster is an incredibly historic yet at the same time slightly mysterious city. 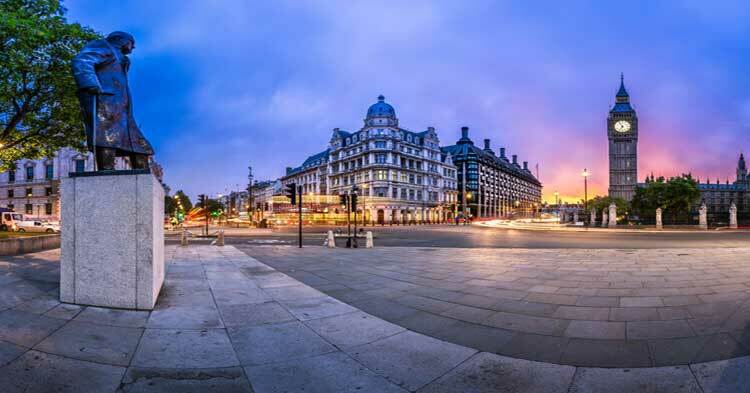 Here you will find some of the best known buildings in Britain as well as one of the best known addresses. 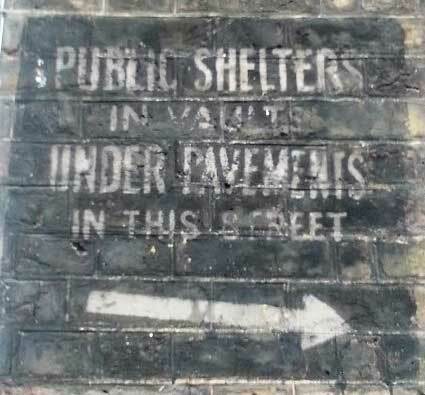 Yet, just a few steps away from the Houses of Parliament, Westminster Abbey and 10 Downing Street, you will find a secret world of ancient streets, tucked away mews houses and places that have managed to survive intact for close on a thousand years. We have laid out our cryptic clues in such a way that you will really delve into this fascinating and historic area. You'll explore places that you would never dream still existed, and you'll discover a part of London that is far removed from the rush and bustle of the modern age. You'll see a statue of Charles 1st that gazes accusingly across at a statue of Oliver Cromwell, the man responsible for Charles's execution. You'll seek a clue on the exterior of a pub that Charles Dickens visited at the age of ten. You'll find an ancient prison that is a stones throw away from Westminster Abbey, and yet people who have worked close to it for years have been astonished to find it's there when they come across it. No doubt you will be too. You'll pass the former headquarters of the Liberal Democrats near which we've placed a clue so fiendish that you might have to form your own coalition to solve it! You'll see some of London's grandest houses and stray into the quiet courtyard where the Metropolitan Police were founded (we just had to include them as a clue!). You'll even witness a guard or two going about their everyday duties guarding the entrance to the Royal Palaces from those attempting to find treasure hunt clues around them! You don't need any knowledge of the history of Westminster, nor of the streets and geographic lay out of Westminster to succeed in the treasure hunt. You just need to have keen observational skills coupled with average powers of deduction and the quest will prove a breeze. By reading what each clue says (and we do mean read as opposed to scan) and by concentrating on what it is telling you to do you should be able to pick your way around the Westminster Treasure Hunt route. But, to ensure that you notice all the nooks and crannies that the area has to offer, you will have to find the answers to a series of observation questions and photo challenges. Every question and challenge pertains to something you will pass, or at least see, as you make your way around the route. But only by paying careful attention to your surroundings and by being curious about everything that you see will you be able to attain maximum points and possibly even be the team that vanquishes the others to emerge victorious. Statues to long forgotten generals and elder statesmen will make for some mind jarring challenges that are guaranteed to get those little grey cells working overtime. Items of street furniture that have been photographed from, to say the least, odd angles will look tantalisingly familiar but may well prove frustratingly elusive. Blue plaques to the famous, the forgotten and the dubious will provide little snippets of information that might edge your team that little bit closer to triumph. And, each corner turned, each backstreet ventured along, and each building explored will yield up something new and fascinating. Indeed, it is safe to say that you may well be dining out on your discoveries for weeks, if not months, to come and you'll most certainly want to return to some of these places under less competitive circumstances to explore them at your leisure. So, whether you are looking for a team building activity, an event that will get yourself, your friends and work colleagues out onto the streets of London, or just a nice way to while away a summer or winter afternoon, why not give our Westminster Treasure hunt a go? You really will discover a fascinating part of London and might even have the dubious good fortune of crossing the path of the odd Cabinet Minister or an even odder Member of Parliament. The cost of the Westminster Self Managed Treasure Hunt Package is £140.00 for 4 packs.